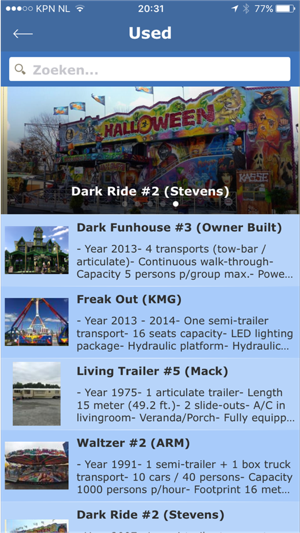 The Used Rides app gives you access to an accurate database with used amusement rides that are currently for sale through the Used Rides Europe BV company. The app shows images, technical details, pricing and location of the equipment. 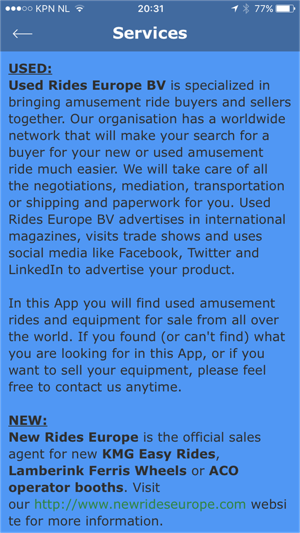 There are links to Facebook, Twitter and the official website to obtain additional information or to contact Used Rides Europe BV. 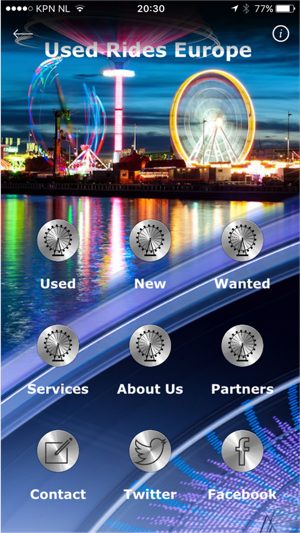 The app also gives you access to the new KMG and Lamberink rides section, and financing and leasing companies. 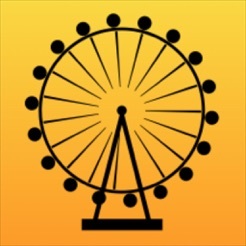 This app gives you quick access to the latest rides for sale additions. Good simple navigation much easier to see the information on a screen than using the internet browser for the website.